More than half a mile south of the original market town of Cheltenham, the Suffolk estate was developed by a local hotelier named James Fisher, from about 1823, on farm land which the Earl of Suffolk had bought from the Delabere family in 1808. The fields had names such as Home Piece, Home Close and the Lypiates. Part of the Suffolk estate may have been built on the former "Old Park" which was documented as early as 1606. 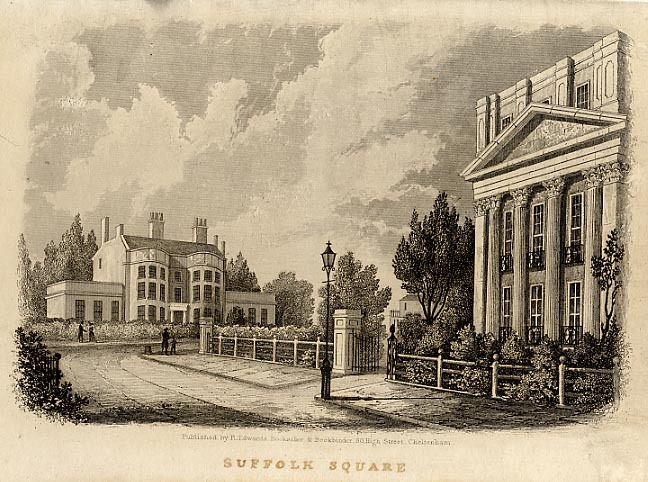 The oldest building at the time, Gallipot Farm, was located to the north-west of Suffolk Square. The name "gallipot" may refer to a small glazed pot once used by apothecaries for medicines, confections, or similar preparations. In 1694 the house was rebuilt and renamed Gallypott Hall. 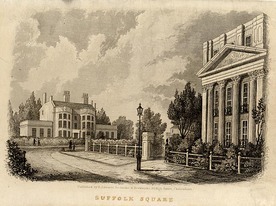 This was remodelled in about 1808 and by 1824 it was known as Suffolk House, which stood on the site of the present-day flats of the same name, until it was demolished in 1936. At the heart of this residential area is Suffolk Square. Many of the buildings around the square were designed by the architect Edward Jenkins. 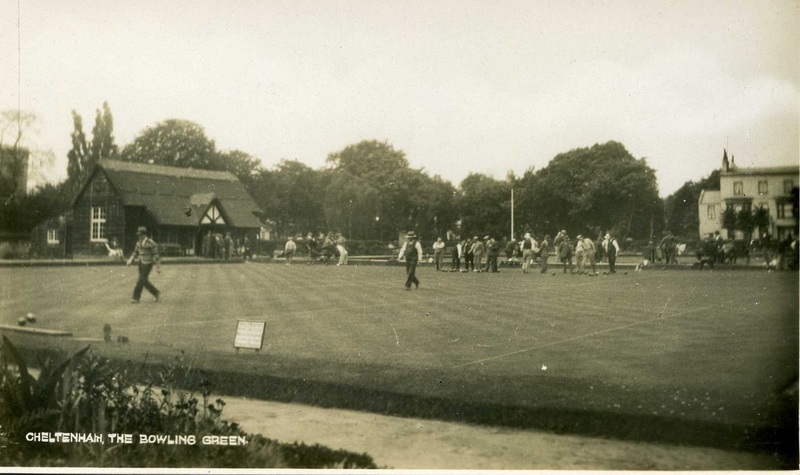 The central garden belongs to Cheltenham Bowling Club, which was founded in 1883 but only relocated here from the Winter Gardens in 1918. Surprisingly, the square is labelled as the "Ashburne Bowling Green" in the Old Town Survey Map of 1855-57, however it seems likely that this annotation was added later. The land on which the green was laid out in 1917 was until then a market garden called Home Field; the name was probably a throwback to the time when it formed part of Gallipot Farm. The original rustic style club house, called the Unwin Pavilion, burned down in 1955 and was replaced by the current building. St James' church was built between 1825 -1830 in the Regency Gothic style by architects Edward Jenkins and J.B. Papworth. To the north, the Suffolks are bounded by Back Montpellier Terrace, which is part of an old field path joining Sandford Road to the Gordon Lamp junction and on to Alstone via Lad's Lane. As it was a public highway Henry Thompson, the developer of the Montpellier estate, could not build over it and instead backed his southernmost terrace in Montpellier right up to its line. Despite it's name Suffolk Parade was developed separately from Fisher's Suffolk estate, by Henry Thompson, on the field called Home Acre (or Horne Acre Piece), which he acquired from John Delabere in 1807. It featured in the 1820 Post Office map of Cheltenham, before the development of Suffolk Square and Montpellier Villas, but there were gaps between the houses which must have been infilled at a later time. Number 26 (now The Copy Shop) may have been built as early as 1814 and the title deeds for number 25 indicate, in 1819, that a dwelling had also recently been built there. In 1818 Henry Thompson leased a parcel of land corresponding to the modern numbers 28-31 Suffolk Parade to a carpenter called Aaron Wills Gay, although at that time the street was unnamed. Henry Thompson's sons, Henry Teshmaker Thompson and Pearson Thompson, sold off parcels of land in the area of Suffolk Parade in the 1820s for future development. ​The terrace of houses on the eastern side of the street, at the southern end near to Suffolk Road, appears to have been completed first and was originally numbered from 1-13. When the northern end of Suffolk Parade was completed a little later it was numbered from 1-14 and we can imagine the confusion that this duplication may have caused! 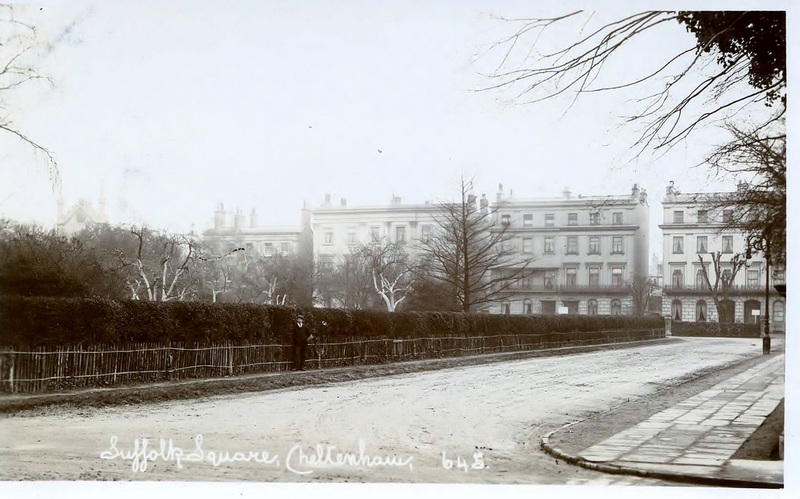 In 1893 the whole street was renumbered from 1-34, incorporating Suffolk Lodge (The Retreat) and St James's Lodge (The Daffodil), which were previously without house numbers. 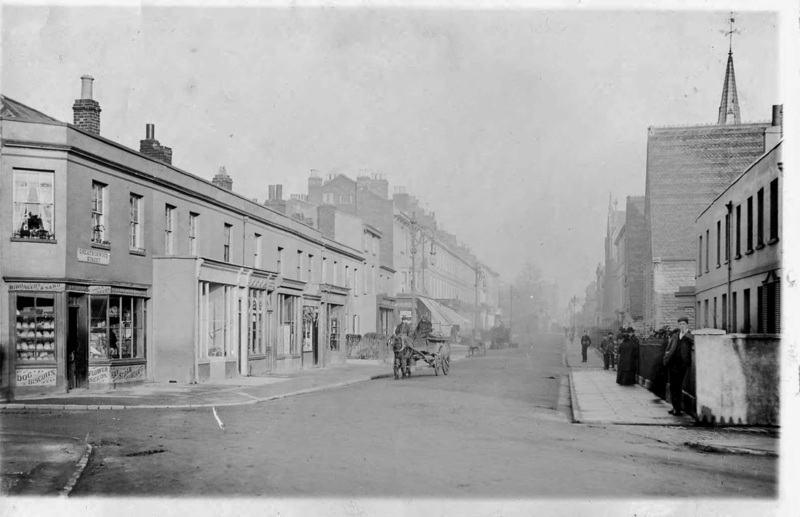 Suffolk Road was formerly known as Commercial Road and it was only partly built up by 1834. However this was already an ancient route from the Old Bath Road to Westal Green, across the open field system called Sandford Field. 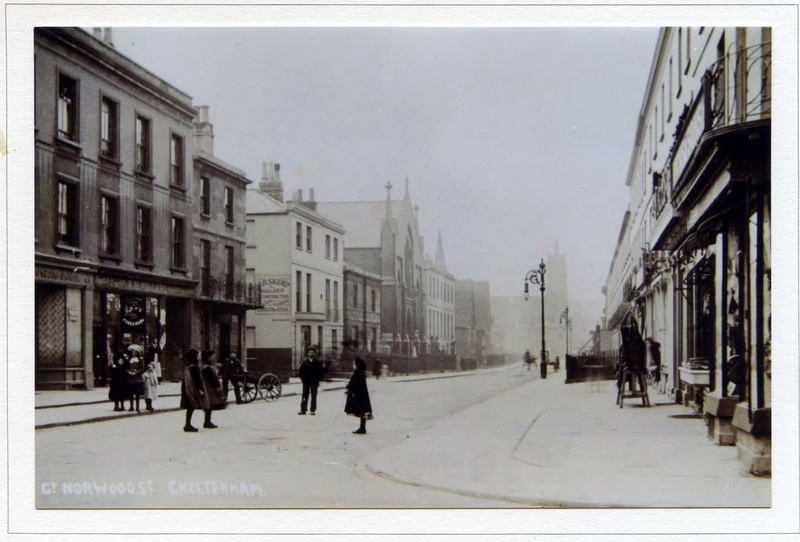 Great Norwood Street was laid out around 1825 on land belonging to Henry Norwood, the Lord of the Manor of Leckhampton. Previously there were only fields here, the one bordering the Suffolk Road being called the ""Grattons" or "Grottens". Through here ran the horse drawn railway bringing stone from the Leckhampton quarries to Grotten's Wharf and this street followed the route of a spur line. Number 45, built by 1825 by a stone mason named Richard Allen, may have been the first house erected. The street is named on an 1834 map, where it is still only partially developed. With acknowledgement to the Historical Gazetteer of Cheltenham, by James Hodsdon, and Gloucestershire Archives. Great Norwood Street, looking North.